Okay . . . so it is that moment. That moment where I reveal what MagicalNovel is really about. On Monday I mentioned that it was the most ambitious thing I’d ever tackled and I showed MagicalNovel’s baby photos, and then I encouraged readers to guess what it was about, with hilarious results. (One reader — Cathrine M.H. — did get it precisely right and I will be sending her something prizey). But now the guessing is over. It will be coming out September 18th of this year, and here is the cover. It doesn’t mention that Gansey wears top-siders for practically the entire novel, but that is also true. It doesn’t mention that this was the book that had me soliciting Twitter for all that “boys behaving badly” music for the playlist while I wrote it, but that is also true. 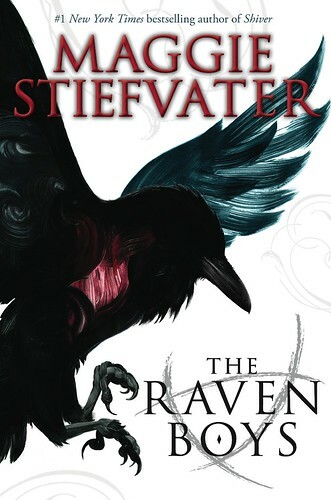 It also doesn’t mention that THE RAVEN BOYS is book one in the four-book Raven Cycle, but that is also ALSO true. So . . . there it is. I feel weird releasing this into the world, because it feels like such a different sort of project for me (which I now realize I have said every time I announce a new book). I’ve never planned out a series so painstakingly before, nor worked with so many characters. I’m having more fun than you can possibly imagine. Well, possibly you can imagine it. Just insert my face hovering above three bowls of a cookie dough. That emotion is quite similar. As always, if this sounds delightful, you can pre-order a signed and doodled in copy from Fountain Bookstore. Or you can pre-order from Amazon here. I hope you guys love it. I leave you with the two songs iTunes informs me I listened to the most in this novel’s playlist. I realize the songs are very different, but so are Gansey and Blue. If you put those two tracks together, I think you have a pretty good idea of what this book is like.